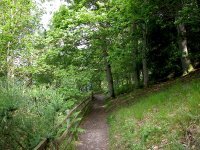 This gallery comprises images taken during a return visit to the Perthshire resort in June 2005, while killing time on two mornings waiting for public transport. 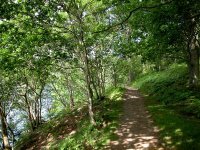 On the morning of my first day in Pitlochry I had some time to kill while waiting for a train north, and decided to wander a little way through the woods on the east shore of Loch Faskally. 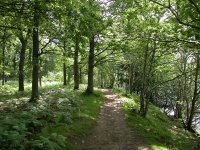 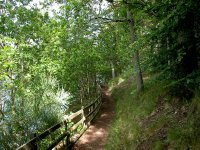 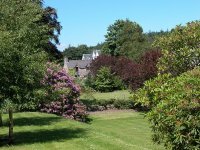 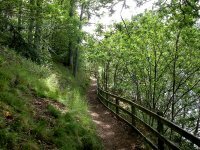 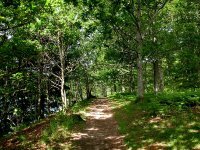 The loch and its dam stand immediately to the west of the town centre and these woodland walks are popular with visitors. 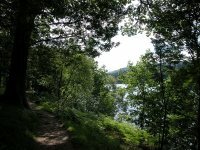 A glimpse of the loch through the trees. 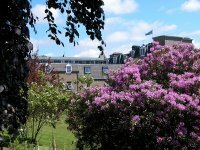 Just a lovely place to be, really. 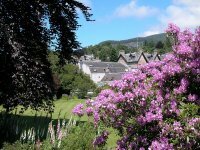 Pitlochry town centre, and a view of a small park on the west side of the high street. 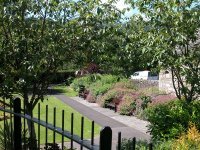 Another shot of the same park. 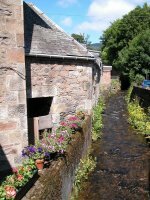 This is the old mill stream on the east side of the high street. 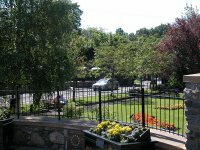 These are the grounds of the Fishers hotel, as seen from the access road to the railway station. 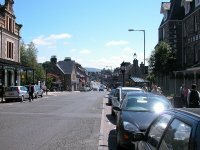 And finally, a shot of Pitlochry high street.